Chris and Jeannie got married on snowmobiles in 1990 dressed in matching snowmobile suits. Smitten by the snowmobiling bug at age eleven (11), Chris spent the rest of his life promoting, developing, volunteering, grooming and organizing snowmobile clubs and activities. He has received numerous honors including the International Snowmobile Industry Association Snowmobiler of the Year and Saskatchewan Groomer of the Year. In 2000, Chris was hired by the Saskatchewan Snowmobile Association as its Executive Director, a position he continues to hold. 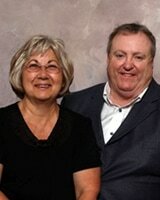 Jeannie started snowmobiling in 1967 and has the same passion and dedication to the sport as Chris. She annually rides at least 1000 miles and is very active in local and provincial club functions, grooming promotion, fundraising and volunteering at snowmobile-related functions. A breast cancer survivor, Jeannie was instrumental in starting Prairie Women on Snow, an organization formed to bring attention to and help raise funds for breast cancer treatments and cures. She won the Canadian Council of Snowmobile Organizations (CCSO) Snowmobiler of the Year in 2008. Jeannie's administrative talents have been recognized and she now serves as the Chief Financial Officer of the Saskatchewan Snowmobile Association. Russ has been consumed by snowmobiling since his first sled back in 1964. From that time on, he has been involved in the sport and business of snowmobiling as an avid consumer and even more so as a leader on the industry side of the sport. As a racer, Russ successfully competed in cross-country and ovals across the Midwest US from 1967 to 1976. His racing career soon led to a sales position with Scorpion snowmobiles. His novel and very successful promotional ideas had him quickly moving up to General Manager and then to National Sales Manager. After working at Scorpion, Russ transitioned to Bombardier (today known as BRP) to work for the Ski-Doo Sales Department. He continued moving up rapidly through many corporate positions and finished his twenty (20) year long career with Bombardier as VP of Sales and Marketing Worldwide for Ski-Doo, retiring in 1995. He later joined FAST, Inc. (Blade snowmobiles) as their President for three (3) years. Russ now operates his own marketing and sales consulting company and is still involved in many snowmobile organizations and activities. 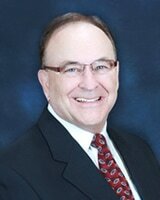 Within the industry, Russ Davis and his accomplishments are well known. Russ is a respected member of the snowmobile community. Kim has dedicated most of his life to making snowmobiling better every where he can. His accomplishments range from trail development and partnership building to national leadership and program development. Kim has a passion for snowmobiling that has carried him well beyond job duty. He has been rewarded many times for his untiring efforts by being honored throughout his 25 years serving as a snowmobile trails program administrator and consultant for several Western states. Among these honors are: Snow Goer Magazine's Best Snowmobile Trail System (Black Hills), Professional Excellence Award from International Association of Snowmobile Administrators, Iron Dog Brigade Distinguished Service Award and Most Valuable Snowmobiler award from Snowmobile Magazine. 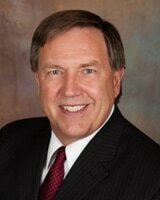 Kim's professional career was first with the state of South Dakota and later with the state of Wyoming. After leaving state government work eight (8) years ago, Kim then founded his own consulting company called Trails Work. In this new capacity, he has produced several manuals on trail development, grant programs, ATV trails and trail guide books that are used by many state and national trails programs. His passion continues. The Club's accomplishments as a team over the last few years include a major fight to keep snowmobiling on a multi-use trail, building a clubhouse and giving snowmobilers many good reasons to belong and stay actively involved. The Club has been doing great things in the Ottawa, Ontario area for over 28 years and has garnered numerous awards for excellence in promoting safe snowmobiling. Such recent awards consist of the 2011 Ontario Federation of Snowmobile Clubs (OFSC) Volunteer of the Year, awarded to George Darouze, Club President. The Club received the OFSC Club of the Year also in 2011 and most recently the 2012 CCSO Excellence Awards - Club of the Year. 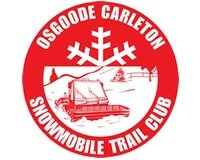 For more information on the Club visit www.osgoodesnowmobileclub.ca.